If you'll get to access the info, you'll modify the administrator record within the CMS_User table. The first and second parameter specify your user name and your new password, delimited by a semicolon. The third parameter is optional and indicates whether or not you wish to make a new user with global administrator rights. The appsetting key are going to be automatically removed from web.config once you got access to the CMSDesk or CMSSiteManager. 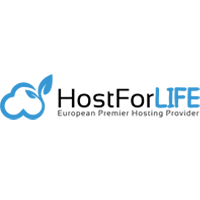 HostForLIFE.eu – They service are excellent and the features of the web hosting plan are even greater than many hosting providers ask you to pay for. You can always start from their CLASSIC PLAN (start €3.00/month). They provide cheap, best and instant activation on your Kentico Hosting account Once you install. You will enjoy the full support of the experienced HostForLIFE.eu team, 24 hours a day, 7 days a week. Affordable Budget prices, full features, 99.9% Uptime Guarantee, No Risk Money-Back Guarantee - come and see for yourself why everyone is recommending HostForLIFE.eu for Kentico Web Hosting in UK. Stability and Performance of HostForLIFE servers remain their TOP priority. Even their basic service plans are equipped with standard service level agreements for 99.99% uptime. Advanced options raise the bar to 99.99%. HostForLIFE.eu is Microsoft No #1 Recommended Kentico Hosting in European Continent. Their service is ranked the highest top #1 spot in several European countries, such as: Germany, Italy, Netherlands, France, Belgium, United Kingdom, Sweden, Finland, Switzerland and many top European countries.